My passion is to inspire kids to be creative. To be stronger writers. I want them to express their ideas and to know their ideas have value. And, I have a process for how I can help get the funding to bring me to your children's public school classroom. I also enjoy middle and high school; I change the focus/approach. 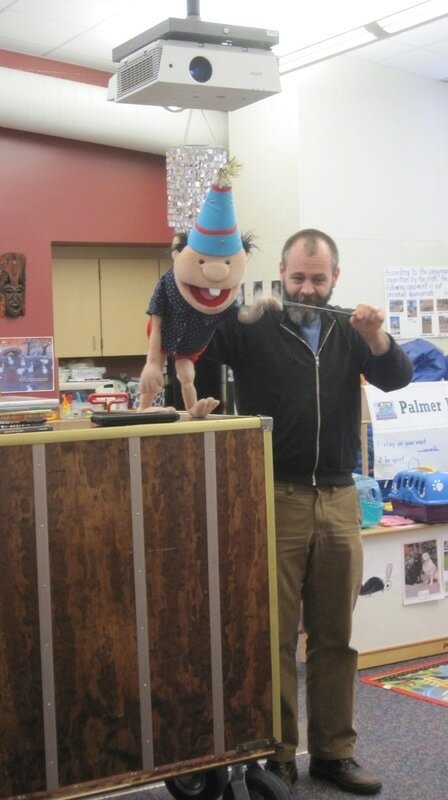 I’ll visit your classroom with my brand new puppet theatre. I’ll perform, share ways to find ideas for creative writing, and we'll explore the creative process together! All up close and personal! Students will WANT to keep writing after I leave. 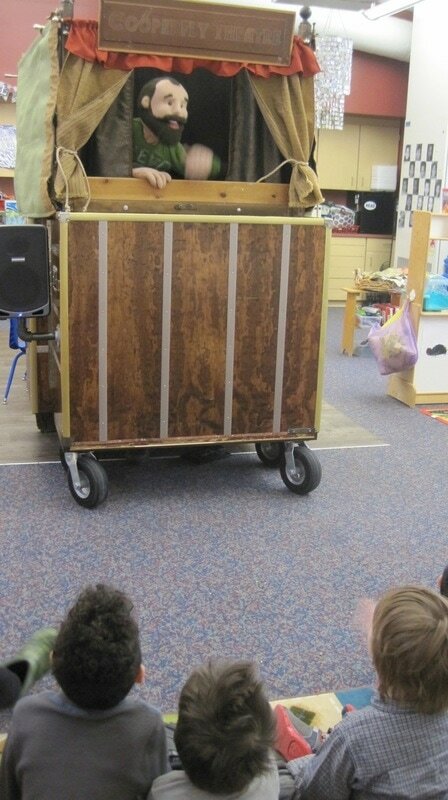 My goal is to motivate students to write and use their imagination. Note: I need flat or ramped access to the building and room. 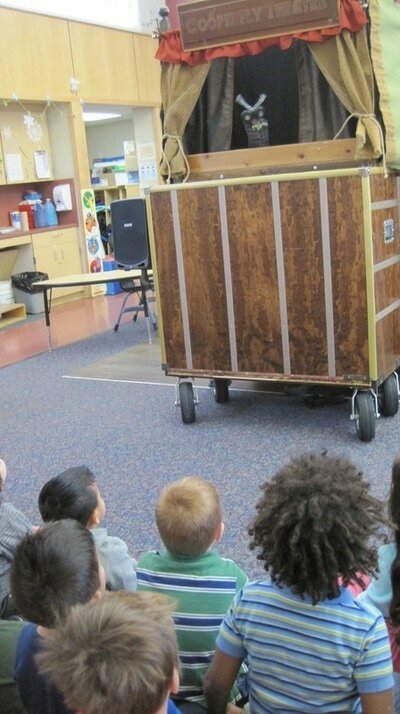 The theatre is heavy, but can roll into any space. It’s basically my full assembly, however, presented for a small group and it’s more personable. Think of it like when a band does a "house concert" instead of doing a large venue. Can we add more students to a session? I knew you'd ask :) I’m open to the idea of two classrooms together (assuming we fit comfortably in a classroom). Please, not more than two classrooms at one time. Can we set this up in the library or an open space? No. The idea is to visit classrooms. To be in the students space. In their environment. When I go to a central space it becomes an assembly. More info on that here. And, information on assembly rates. I will share with you the step by step process/info you'll need to fund this program. Contact me anytime at kevin@tomatocollection.com or my cell 616 581-5877.